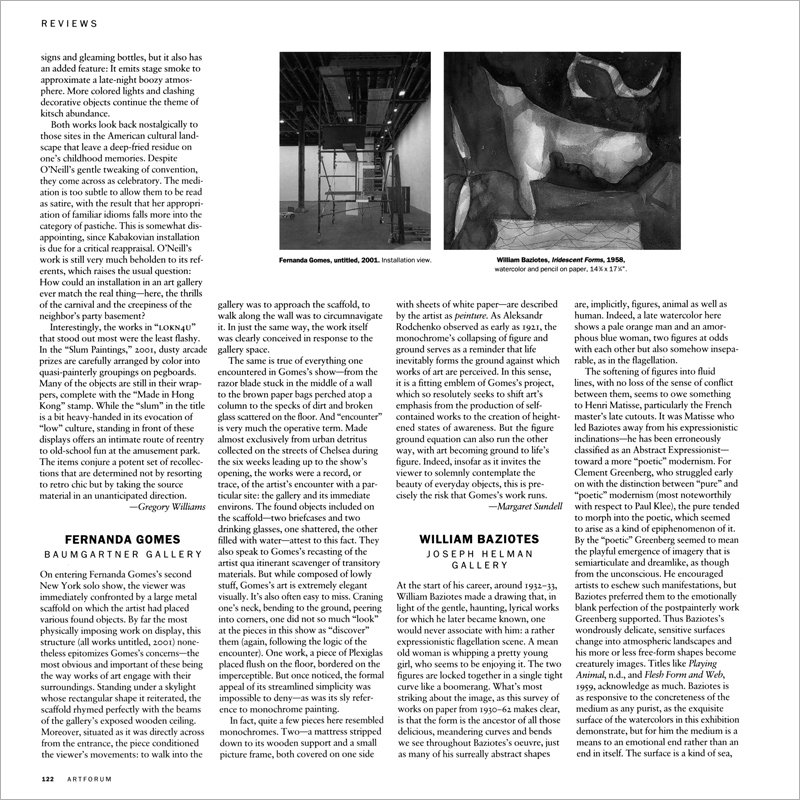 On entering Fernanda Gomes’s second New York solo show, the viewer was immediately confronted by a large metal scaffold on which the artist had placed various found objects. By far the most physically imposing work on display, this structure (all works untitled, 2001) nonetheless epitomizes Gomes’s concernsthe most obvious and important of these being the way works of art engage with their surroundings. Standing under a skylight whose rectangular shape it reiterated, the scaffold rhymed perfectly with the beams of the gallery’s exposed wooden ceiling. Moreover, situated as it was directly across from the entrance, the piece conditioned the viewer’s movements: to walk into the gallery was to approach the scaffold, to walk along the wall was to circumnavigate it. In just the same way, the work itself was clearly conceived in response to the gallery space.